What is Payara and Payara Server? Payara Server is an open source application server derived from GlassFish, with an option of 24/7 Production and Migration & Project Support. It is developed by Payara Services Ltd as a perfect solution for companies currently using GlassFish, struggling with lack of support from Oracle and infrequent, low-quality application server releases. Payara Server is also a great product for any organisation running Java EE applications, looking for a robust, secure, reliable and supported platform. Payara Server is compatible with Eclipse MicroProfile. Payara Micro is a ‘smaller’ version of Payara Server, perfect for microservices and cloud environments. It is < 70MB in size and incredibly simple to use. 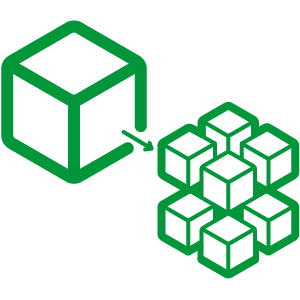 With its automatic and elastic clustering, Payara Micro is designed for running Java EE applications in a modern containerized/virtualized infrastructure. Payara Micro also comes with a Java API so it can be embedded and launched from your own Java applications. Find out more here. Payara Micro is compatible with the Eclipse MicroProfile. What is the relationship between Payara Server and GlassFish OpenSource Edition? Payara Server is derived from the upstream GlassFish source tree with our own enhancements and fixes. Payara and Payara Server are not affiliated with, maintained, authorized, endorsed or sponsored by Oracle or any of its affiliates. How is Payara Server better than GlassFish? On top of the regular quarterly releases with bug fixes and patches, Payara Server has a lot of new tools and features that are not present in GlassFish. See our GlassFish vs Payara Server page here for more details and features comparison. What’s the difference between Payara Services and Payara Foundation? Payara Foundation is a not-for-profit organisation that owns and protects Payara Server’s and Payara Micro’s code, trademark and documentation, ensuring the continued development and maintenance of Payara Server as open source software. Payara Services Ltd on the other hand is a private company, a supplier of commercial support for Payara Server/Payara Micro and a major contributor to the development and engineering effort of the Payara Server open source project and the Payara Foundation. Is it difficult to migrate from GlassFish Open Source Edition 4.1 to Payara Server 4.1? Absolutely not! Payara Server is derived from GlassFish Server Open Source Edition so the migration is really easy. Check out our GlassFish to Payara Server Migration Guide for some useful tips on migration process. And if you think you might need some help with migration (especially from GlassFish 3 and below), we can also help you with the process via our Developer Support services. How is Payara Server licensed? Payara Server is dual licensed under both the Common Development and Distribution License ( CDDL) Version 1.1 or CDDL and GPL v2 + the Classpath exception. Do I have to buy a license to run Payara Server? No, Payara Server is open source software. If you want support for your Payara Server environment, either in development or in production, you can buy a support subscription from us. Is Payara Server production ready? Payara Server is perfect for production environments! Our vision is to optimise Payara Server to make it the best application server for production Java EE applications; with responsive 24/7 dedicated incident and software support delivered by the best middleware engineers in the industry. For more information on using Payara Server in production, you can check out our ‘Payara Server in Production’ guide. You can also have a look at some of our Customers, who are successfully running Payara Server in production, together with Payara Support. The Payara project is hosted on GitHub, allowing us to make use of the various tools GitHub has integrated for managing projects. GitHub also makes allowing the community access to view and edit the source code very easy and public. Have a look at the Payara Wiki to see the details of how to contribute and check out our Community page for some more useful info and links. Unfortunately, at the moment we can’t accept any financial donations. Currently, the vast majority of funding for Payara project development comes from the Payara Support subscriptions. So, if you run Payara Server in development or production and would like to donate to the project, consider buying a support subscription! You will not only benefit from an on-going support from the Payara Team but you will also directly contribute to the development and engineering effort behind Payara. A full list of our Support SLAs can be found in the Payara Support Services Overview Brochure. The document also explains the support levels, additional support features, pricing & policies. How do I calculate how many servers I need to buy? Count all your Payara Servers you run in production & pre-production environment, disaster recovery and multi-user test. The ones that your developers use on their local machines are not counted, unless you’re buying developer support only. If you go for an unlimited support option, then of course you don’t have to count your servers. What are your long term plans for Payara Support? We have a Payara Support Lifecycle policy in place, which ensures longevity of your investment in Payara Server. It provides you with 10 years of support and a well-defined lifecycle model, maintaining stability of your Payara Server production environment. Payara has a number of long-term support customers. Large, multinational and well-funded organisations including BMW Group, Papa John’s Pizza and Rakuten decided to invest in Payara Server to use it in their complex production environments. If you would like to find out more or request some customer references, please contact us directly. Zulu Enterprise is a tested, certified build of OpenJDK that is compliant with the Java SE standard for Java SE 9, 8, and 7. No, you can use any other supported JDK with Payara Server and Payara Micro. However, if buy a Payara Support Subscription, you can benefit from Payara’s partnership with Azul, providing you with access to Zulu Enterprise – Fully Supported Builds of OpenJDK – with Payara Server and Payara Micro, for no extra cost. Private, updated builds of Java 7 will be available through Payara Support for the lifetime of Payara Server 4.x and updated builds of Java 8 will be available for the lifetime of Payara Server 5.x, so customers can plan for the future safely. Since access to Zulu Enterprise is one of Payara’s Support features, Payara Support customers will maximise their support investment by downloading those builds from Payara’s repository. Can you use Payara Server / Payara Micro with Spring? Yes, you can! To find out more, check out our blog posts on using Payara Micro with Spring Boot here ; there is also a very interesting JavaOne presentation video ‘Spring Boot for the Java EE Developer’ where Philip Webb ( Pivotal) is using Payara Server with Spring Boot. Do you provide Docker Images for Payara Server? Of course! Docker Images for both Payara Server and Payara Micro are available here. Where can I find Payara Server documentation? The Payara Server and Payara Micro documentation is available here. How do I upgrade to the newest version of Payara Server? To find out what’s the best way to upgrade your Payara Server check out our Upgrade Guide here. What is with the name Payara?